POLITICAL TIDBITS: If Delaware lawsuit is not settled and Smartmatic has no source code, it would have to pirate a technology, possibly dragging Comelec in an int'l suit. Gov't. Watch Chair Raul Concepcion recommends Namfrel conduct random manual audit (RMA) in 2013 elections. Excellent idea, but DBM has "zero-budget" for RMA. PAOCC chair Paquito Ochoa's command responsibility in Oplan Armado. If Delaware lawsuit is not settled and Smartmatic has no source code, it would have to pirate a technology, possibly dragging Comelec in an int'l suit. Gov't. Watch Chair Raul Concepcion recommends Namfrel conduct random manual audit (RMA) in 2013 elections. Excellent idea, but DBM has "zero-budget" for RMA. PAOCC chair Paquito Ochoa's command responsibility in Oplan Armado. Netizens have reason to be angry. We all know that last year Smartmatic sued Dominion, the real owner of the AES technology used in the May 2010 elections, in the Delaware Chancery Court in the US for breach of contract. Among its eye-popping complaints against Dominion (which Filipino experts had been pointing out as Smartmatic’s failings, but which it had refused to acknowledge all along, until that suit) is that Dominion failed to provide it with the source code, which is the operations bible of the AES. Smartmatic had repeatedly claimed in House of Representatives hearings in June 2010 and afterwards that it had deposited that source code with our Bangko Sentral for the 2010 elections---when in fact it never had it. Dominion, in its counter-suit before the US Court, has asserted that its contract with Smartmatic had lapsed and therefore the former is under no obligation to submit anything. Without this source code, as Filipino IT experts have repeatedly stated in public forums, the AES could be haphazardly operated---a presage perhaps of what looms large in the coming elections. The experts have asserted that in view of the continuing refusal of Dominion to provide this source code, Smartmatic would have to PIRATE another technology just to fulfill Comelec’s requirements. But it’s also easy to see that barring a settlement between the two warring parties in Delaware soon, Smartmatic could be sued in an international court for intellectual piracy---and Comelec which has contracted all its services for the elections in many billions of pesos---could end up an accomplice, an enormous shame to our country. Why Comelec has come to believe Cesar Flores so much is beyond us all. Government Watch (GW) Chair Raul Concepcion ran 3/4s ads in two newspapers recently, featuring “An Urgent Appeal to P-Noy” to put in place as his “greatest legacy” an “unquestionably credible electoral system.” It’s a timely message especially since the bishops are convening their general assembly on Jan. 25-27, and one of the issues they'll take up is the problem with the automated elections. GW rightly stated that barely four months before the 2013 elections there remain “many doubts” about the AES, the PCOS machines and Smartmatic’s role in the elections. While the Comelec has already made assurances, “we cannot blame the voting public for remaining unconvinced,” said GW. Indeed. GW then asserted that “the best way to prove credibility is through a Random Manual Audit (RMA) of the automated elections,” which, besides being mandated by law, must be undertaken “to demonstrate that the perceived weaknesses in our existing AES have all been properly corrected.” It stressed that an RMA must be done immediately after the closing of all polls “in randomly chosen precincts” whose selection must be transparent and complies with proper sampling techniques. GW asserted that RMA must be conducted at every transmission point in those random precincts until final canvass, and should discrepancies be encountered, “the root cause must be identified” and documented, with an audit trail readily available. GW asserted that this all-important task of RMA must be entrusted to Namfrel, being Comelec’s accredited partner organization. This is an EXCELLENT suggestion, as Namfrel has a long track record of achievement---unlike the PPCRV, which chaired the triumvirate that undertook the RMA---WITHOUT SUCCESS---in the 2010 elections. The failure of this triumvirate---called the Technical Working-Group-RMA (TWG-RMA) and composed of PPCRV as chair, the Comelec’s Internal Audit Office and the National Statistics Office---to properly conduct the RMA may unwittingly have contributed to the manipulations of the PCOS machines in 2010, that resulted in the massive defeat of a good number of national and local candidates at that time. WE CANNOT AFFORD TO FAIL THIS TIME! 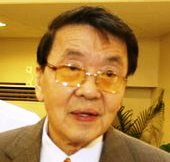 As a newspaper columnist I had covered the 2010 elections assiduously, including post-mortem hearings conducted by the House committee on suffrage and electoral reforms chaired by former Makati Rep. TeddyBoy Locsin. I had written then about the failures of the TWG-RMA. One was its inability to draw up a more scientific sampling of precincts nationwide for RMA, doubtless because the statistics expert in the group, NSO’s Carmelita Ericta, was reported to have been brought into the picture only five days before the elections. And whereas the law provided that RMA be finished in 12 hours after precincts closed, it took TWG-RMA 22 days after the elections to submit the audit tallies of only 76 percent of the 1,145 clustered precincts selected; the rest were either incomplete tallies or no tallies at all. One rationale for the failed RMA could be that it was the first time this was ever attempted. These coming elections Namfrel should be better prepared, especially given the nightmarish deficiencies exhibited by Smartmatic, and Comelec in a state of consistent denial about them. Otherwise the 2013 elections could be a national calamity. The sad thing, however, is that according to GW chair Raul Concepcion, Comelec, which has already paid so many billions of pesos for Smartmatic's multi-faceted contracts, has "ZERO-BUDGET" for RMA, as per attestation of the Department of Budget and Management (baka naubos na sa mga suhol sa pro-RH representatives ni Secretary Abad!). Because of RMA's critical role, Namfrel may have to raise funds for it among the more enlightened businessmen, not the "yellow" ones subservient to P-Noy. Testimonies of various police officers involved in the Atimonan encounter that killed 13 people, including an alleged jueteng operator, police and AFP personnel last Jan 6 (was it an ambush, rubout or shootout? Nobody knows at this time of writing) tend to point out that contrary to Malacanang’s continuing denial, the Palace was quite aware of “Coplan Armado” and in fact had released initial funding for it. But while the question of how much funding it needed was the initial issue between the planners and the Presidential Anti-Organized Crime Commission (PAOCC) top brass, eventually there were efforts to distance its chair, Executive Secretary Paquito Ochoa, from the heinous massacre. This was understandable---as otherwise he would have to take the blame for it under the principle of command responsibility, as Malaya columnist Rey O. Arcilla argued last Jan. 15. While PAOCC executive director Reginald Villasanta argued that the anti-crime body had disapproved the Coplan on the issue of funding, sacked former Calabarzon police chief James Melad insisted that it had PAOCC’s approval. As early as Jan. 12, Supt. Glenn Dumlao, Coplan’s “supervisor” (the Tribune refers to him as its “architect”) insisted to media that Coplan was “planned to push through with or without the approval of the PAOCC,” because this was the job of crime busters. Police Supt. Hansel Marantan, who actually carried out the operation and sustained leg and arm injuries in this encounter (again, were they caused by counter fire or self-inflicted? ), earlier was quoted as saying the same thing: Coplan had the knowledge and approval of PAOCC. Efforts by PAOCC’s underlings to distance Secretary Ochoa from the operation, however, causes an even greater worry among citizens. For if an operation of this magnitude can be carried out by the above police officers without the top-brass approving it, the logical question is, who’s to control these guys? There’s a related query aired in media: how come officers with such controversial backgrounds are given such huge tasks. Media reports also say that Police Supt. Marantan has allegedly been linked to jueteng and to the crackdown by his unit of a number of controversial, high-profile cases that had dragged his name in the past. But he turns up as chief officer of the Calabarzon’s Anti-Organizer Crime Task Force and in charge of Armado’s operation at the checkpoint. Of course it could be argued that as the saying goes; it takes a thief to catch another thief, as the Alfred Hitchcock thriller showed many decades ago. But still it leaves an unsettling feeling in many citizens about how crime can be eradicated when crime-busters have such controversial records themselves.